What is a database-driven website? WordPress is a free and open source Blogging Tool and Content Management System (CMS) based on PHP and MySQL. Websites can be built with Wordpress. Website owners can go into their admin section to make changes to their website. How does a WordPress website work? A website built with WordPress is a database-driven site. All the blog posts are uploaded and stored in a database. The actual pages are created only when someone visits the URL of the page in a web browser. WordPress website owners have a simple, graphical way to enter information into the database via the admin section of their website. If the website design is changed, the database is unaffected and can still be used without modification. The programming isn't affected either. A static HTML site is an alternative to a WordPress site. A static HTML site normally gives better control over the exact look and style of each web page. If you are looking for a small website and want a different look on each one of your web pages, a static HTML website may be best. The WordPress editing interface is easy to use. Anyone can start using a Wordpress site without needing extensive training. Users can create new web pages and posts using only a web browser. No knowledge of HTML or other code is required. Web pages and posts can be edited or created from any computer with an Internet connection. WordPress designs are based on Themes. Themes allow users to change the look of a WordPress website without altering the information content or structure. WordPress users may install and switch between themes. Wordpress has Widgets.Widget is a fancy word for tools or content that you can add, arrange and remove from the sidebar of your website. Widgets make it easy to customize the content of your sidebar. WordPress has an open source model. This means that it is contently improving and getting better. The code is open for anyone to use and edit. Your WordPress Web Designer can install and customize your WordPress website for you. 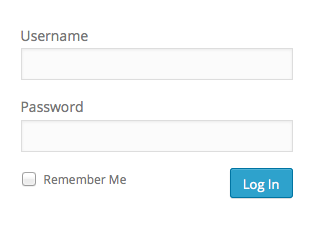 You will then be given a Username and Password to your admin section. The first screen you will see is called the Dashboard. The Dashboard is a tool useful for quickly accessing the most used areas of your blog's Admin Section. The Dashboard Screen presents information in blocks called modules. Each module can be expanded or contracted. Modules can be moved up or down, or column to column. Let's take a look so you can become famliar with it. See Getting Started with WordPress.